The scope shall be those programs relating to air, water, and ground transportation, and other pertinent matters referred to it by the House. RELATING TO UNMANNED AIRCRAFT SYSTEMS. RELATING TO SPECIAL PURPOSE REVENUE BONDS TO ASSIST KEAHOLE FBO I LLC. RELATING TO TRANSIT-ORIENTED DEVELOPMENT ZONES. RELATING TO FUEL TAX FUNDS. RELATING TO THE IGNITION INTERLOCK PROGRAM. RELATING TO THE VEHICLE WEIGHT TAX. RELATING TO LOW-SPEED ELECTRIC BICYCLES. RELATING TO THE PM ZIPPER LANE. RELATING TO AUTONOMOUS MOTOR VEHICLES. MAKING AN APPROPRIATION TO THE DEPARTMENT OF THE TRANSPORTATION TO REPLACE JERSEY BARRIERS FRONTING THE DEPARTMENT OF TRANSPORTATION HARBORS DIVISION BUILDING ON SOUTH NIMITZ HIGHWAY. RELATING TO AN AIRPORTS CORPORATION. RELATING TO THE COMPACT OF FREE ASSOCIATION. RELATING TO PEDESTRIAN SAFETY IN CROSSWALKS. RELATING TO THE HAWAII COMMERCIAL HARBORS AUTHORITY. REQUESTING THE DEPARTMENT OF TRANSPORTATION TO CONDUCT A STUDY ON THE NECESSITY OF VEHICLE SAFETY INSPECTIONS IN HAWAII. URGING STRONG SUPPORT OF SERVICE IMPROVEMENTS TO THEBUS AND THE AUTHORIZATION OF AN EXTERIOR FIXED-ROUTE BUS ADVERTISING PLAN. REQUESTING THE DEPARTMENT OF TRANSPORTATION TO CONSIDER IMPLEMENTING A NORTHBOUND CONTRAFLOW LANE ON FORT WEAVER ROAD DURING EACH WEEKDAY MORNING RUSH HOUR. REQUESTING THE DEPARTMENT OF TRANSPORTATION TO CONVENE A WORKING GROUP TO ASSESS THE VIABILITY OF SAFE PUBLIC ACCESS TO HUEHUE LAVA TUBE ON THE ISLAND OF HAWAII. 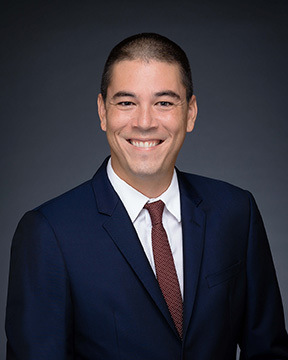 REQUESTING THE CITY AND COUNTY OF HONOLULU TO ESTABLISH AN IROQUOIS POINT FERRY TASK FORCE TO STUDY THE FEASIBILITY OF ESTABLISHING A REGULAR FERRY SERVICE BETWEEN KAPILINA MARINA AND ALOHA TOWER. REQUESTING CROSSWALK COUNTDOWN TIMERS BE REPLACED WITH CONVENTIONAL PEDESTRIAN-CONTROL SIGNALS REFERRED TO IN SECTION 291C-33, HAWAII REVISED STATUTES, TO IMPROVE PEDESTRIAN AND VEHICULAR SAFETY. URGING CONGRESS AND THE FEDERAL AVIATION ADMINISTRATION TO ADOPT LAWS AND REGULATIONS THAT BAN, REGULATE, OR EXPRESSLY AUTHORIZE STATE AND LOCAL GOVERNMENTS TO BAN OR REGULATE THE USE OF UNMANNED AERIAL VEHICLES OVER PRIVATE PROPERTY. URGING THE COUNTIES TO SUBMIT A REPORT TO THE LEGISLATURE ON HOW MANY VEHICLE WEIGHT TAX EXEMPTIONS ARE CLAIMED BY MEMBERS OF THE NATIONAL GUARD, MILITARY RESERVES, AND OTHER ARMED SERVICES. REQUESTING THE DEPARTMENT OF TRANSPORTATION TO CONVENE A TASK FORCE TO ESTABLISH BETTER SAFETY CONDITIONS AT CROSSWALKS AND REPORT ON RECOMMENDED LOCATIONS AND POTENTIAL COSTS TO IMPLEMENT PEDESTRIAN ACTUATED SAFETY SIGNALS AT MID-BLOCK CROSSINGS. 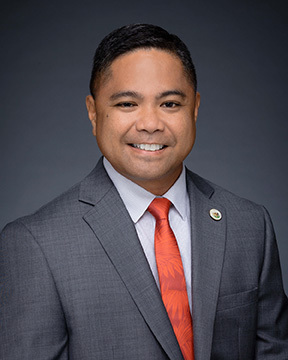 ENCOURAGING THE HAWAII COMMUNITY DEVELOPMENT AUTHORITY TO PRIORITIZE INVESTMENT IN PUBLIC FACILITIES WITHIN TRANSIT-ORIENTED DEVELOPMENT ZONES AND THE KALAELOA COMMUNITY DEVELOPMENT DISTRICT IN ANY OF ITS STATEWIDE PLANNING FUNCTIONS OR INVOLVEMENT THEREIN. REQUESTING AN AUDIT OF DEPARTMENT OF TRANSPORTATION PUBLIC WORKS PROJECTS AT THE DANIEL K. INOUYE INTERNATIONAL AIRPORT. URGING THE DEPARTMENT OF TRANSPORTATION TO STUDY THE FEASIBILITY OF EXTENDING EXPIRATION DATES FOR THE DRIVER'S LICENSES OF NON-CITIZEN RESIDENTS LEGALLY PRESENT IN THE STATE UNDER THE COMPACT OF FREE ASSOCIATION. REQUESTING THE DEPARTMENT OF TRANSPORTATION TO CONDUCT A STUDY ON THE NEED FOR AND FEASIBILITY OF A FERRY SERVICE BETWEEN ALOHA TOWER MARKETPLACE AND SAND ISLAND STATE RECREATION AREA. URGING THE UNITED STATES CONGRESS TO CONSIDER INTRASTATE AIR TRAVEL IN HAWAII AS A SPECIAL CASE AND TO PASS LEGISLATION AUTHORIZING HAWAII TO REGULATE INTRASTATE AIR TRAVEL. REQUESTING APPROVAL FROM THE FEDERAL HIGHWAY ADMINISTRATION FOR A PROPOSED LOW-INCOME AND WORKFORCE HOUSING PROJECT LOCATED WITHIN THE FOOTPRINT OF FEDERALLY-FUNDED INTERSTATE HIGHWAY, F.A.P. NO. I-H1-1(13), EWA OF HUGH STREET IN PEARL CITY AND URGING THE GOVERNOR TO USE OHANA ZONE PILOT PROGRAM FUNDS FOR THE PROJECT. REQUESTING THE PRESIDENT OF THE SENATE AND SPEAKER OF THE HOUSE OF REPRESENTATIVES TO CONVENE A JOINT LEGISLATIVE TASK FORCE TO DETERMINE DESIGN SOLUTIONS AND SAFETY FEATURES TO ENHANCE PEDESTRIAN SAFETY ON STATE AND COUNTY ROADS.